AGV is known for its high-quality lids and the K-5 S certainly didn’t disappoint, straight out the box. It’s made from a carbon fibre-fibreglass mix and at 1.47kg feels nice and light. Australia’s heat will be a good test for the Integrated Ventilation System. There are five front vents and two rear extractors with channels in the shell which directs air to the rider’s head. And so far, the central upper intake still flows air without interfering with the internal sun visor. All the vents and extractors are adjustable. The liner is made without any stitches in sensitive areas and all parts are easily removable and washable. The neck roll is water resistant, plus it has rear-facing reflective inserts. The cheekpads are removable and washable and have antibacterial and moisture-wicking coatings. 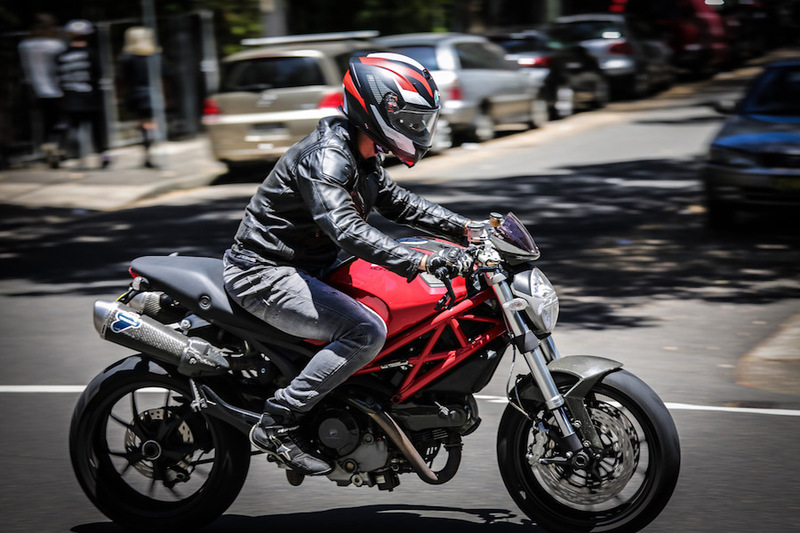 The visor has a micro operating system so you can position the opening exactly as you like it, and changing visors is simple with AGV’s Extra Quick Release System (XQRS), and it’s Pinlock ready. When it comes to looking the part, ours comes pretty trick in a marbled matte-black finish with red and white in the design – hopefully the finish handles the rigours of everyday use. 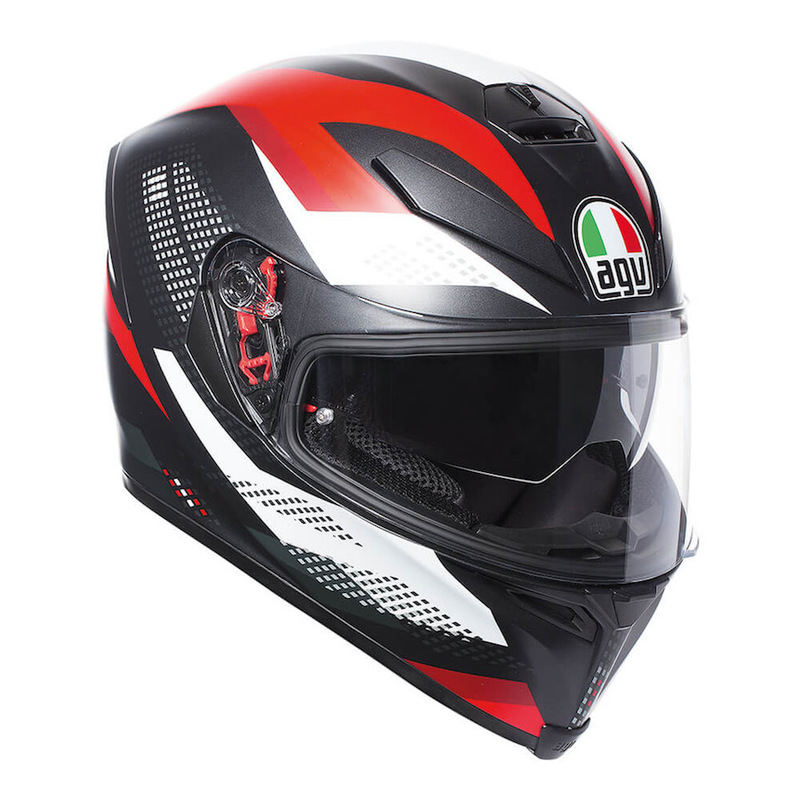 Other features include a removable breath box and a wind protector and the AGV uses a double-D-ring retention system.